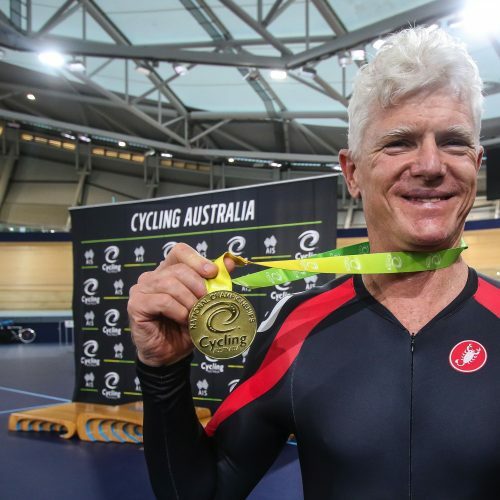 Two world’s best times headlined the third day of the 2019 Cycling Australia Masters Track National Championships, with a further seven Australian records amongst the 21 finals contested at the Anna Meares Velodrome. 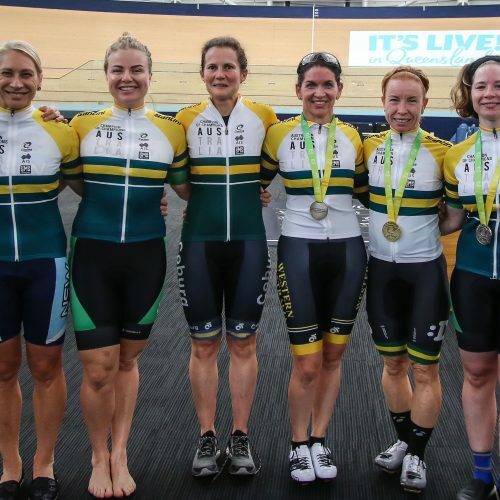 In the all-ages team pursuit finals, New South Wales and Victoria claimed the team pursuit crowns in Australian record times. Victoria’s Vanessa Goss (Coburg CC), Rebecca Williamson (Brunswick CC), Anna Davis (Coburg CC), Fran Pidgeon (Coburg CC) joined forces in the women’s event to defeat the Queensland Flyersnio in a time of 2mins 31.908secs. Hunter District Cycling Club clubmates Johnathan Millington, Ben Neppl, Matt Walker, Andrew Giovanetti and Dane Crawford continued New South Wales’ streak in the men’s final (3:13.865). Gary Mandy (NSW) continued his world record-breaking campaign with his third world’s best time of the week as he rewrote history books in the Flying 200m qualifying rounds of the sprint (11.121). The second world’s best time set for the day was by New South Wales’ Sally McKenna in the women’s 6 category. McKenna blistered in her flying 200m in a time of 12.030secs before soaring to the top step on the podium ahead of Queensland rival Julie Barnett. David Willmott (NSW) set his name in the Australian record books for the second time of the Championships by cracking the 12-second barrier (11.927) while also securing a win in the men 8 sprint event. Western Australia’s John Dixon also set his second Australian record (12.772) while also taking gold in the men 9 category. Belinda McKay (QLD) impressed the home crowd with an impressive ride of 14.632secs, securing the Australian record for the women’s master 8 sprint. 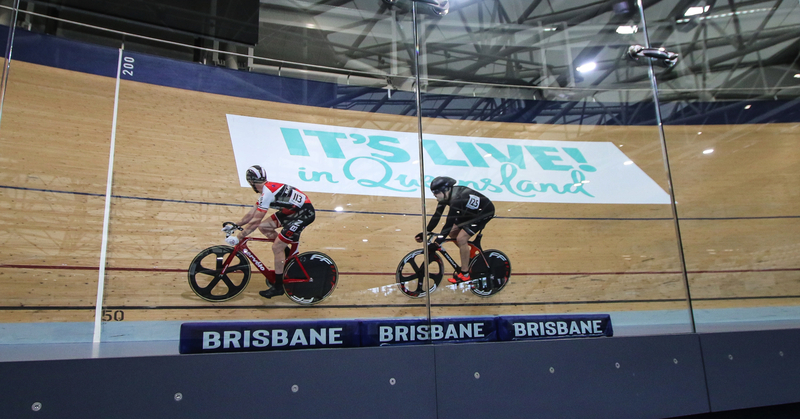 “This is the second time I have done the flying 200 in competition, the first time was in the Queensland Masters Track Championships where I set a new Australian,” said McKay.